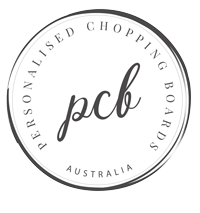 The mother of all chopping boards, this whopping 6kg Master Chop chopping board is a necessity for those serious about their cooking! 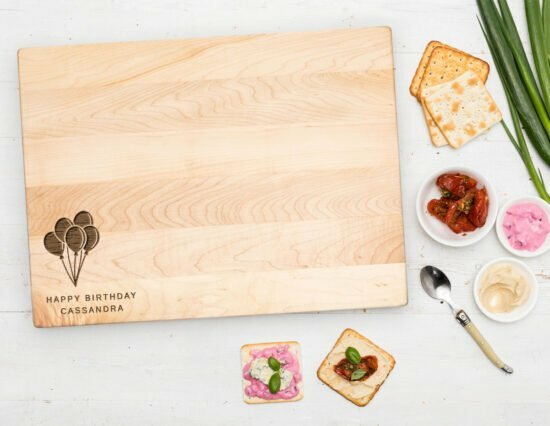 Able to be personalised with their name, an initial, a year and their favourite cuisine, this Personalised Traditional Cooking Chopping Board will be treasured for decades. Perfect for chopping up fresh fruits and vegetables, herbs and spices or meat. 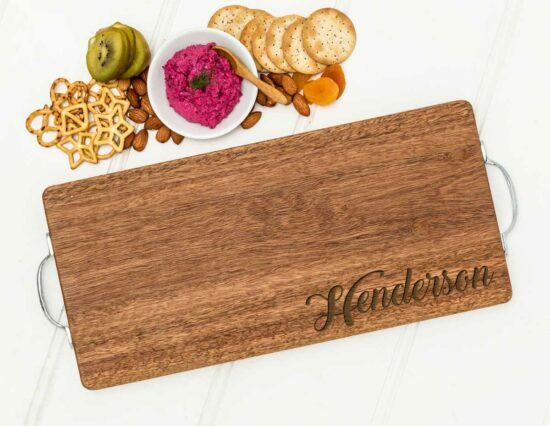 Simply use the personalisation fields above to personalise this chopping board with their details. Please provide the Name personalisation as you would like it written, i.e. 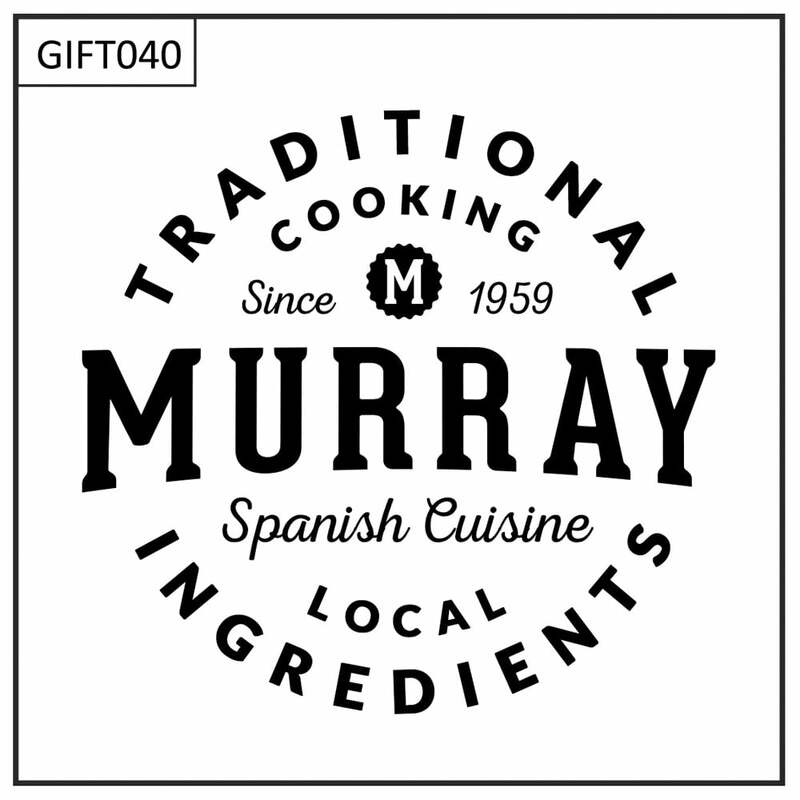 Murray (no apostrophe S) or Murray’s (with an apostrophe S). We are happy to make design changes at no additional charge, simply contact us with any changes you might like. 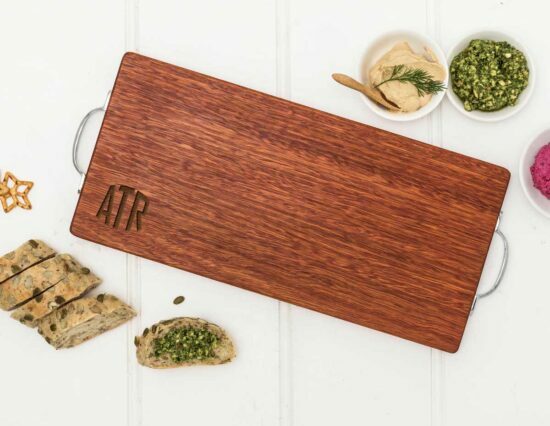 This chopping board measures 45cm by 33cm, and 5.5cm thick. 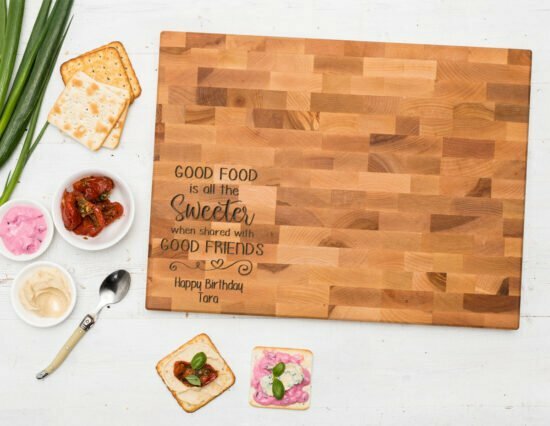 It weighs 6kg and has 3cm deep handles on each end of the board for easy handling.